It’s no secret that Jonny Craig has an exceptional voice, and when he really hits his stride he’s capable of making truly beautiful and moving music. As with all past releases his voice is the main appeal, and it really is incredible. It’s just a shame the songs here are a little repetitive and don’t properly utilise it. 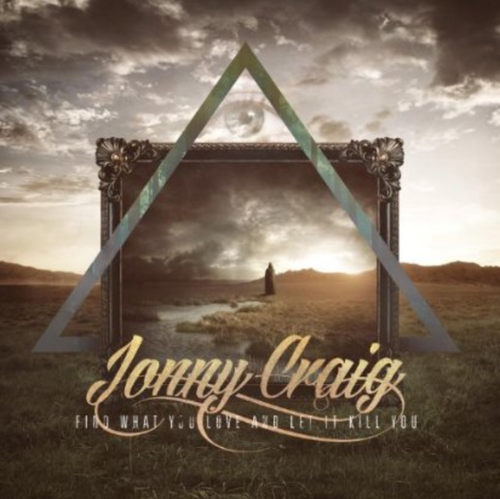 Jonny Craig’s ego isn’t much of a secret either and ‘Find What You Love And Let It Kill You’ is all about him and his voice, which it should be. It tries to stay away from any Emarosa, Ghost Runner On Third or Dance Gavin Dance vibes and shows Craig embrace a different approach from even his own past solo material. It’s a change and it only adds to his extensive musical background, ticking the R&B box. However, the whole thing seems like a conflict in terms of genre, and a comfortable balance is only found on a few tracks. There’s a bigger emphasis on electronics, whereas his debut solo album ‘A Dream Is A Question You Don’t Know How To Answer’ was more of a full band affair. It works relatively well when mixed with his sultry delivery and the moments where the R&B production and perfectly conveyed vocals are where the mini album really excels. Part of me still thinks Craig works better as part of a rock act and it means that I struggled to get into ‘Find What You Love And Let It Kill You’ despite opener ‘The Lives We Live’ being promising in terms of vocals and production. Sadly, it’s also probably the best song here. ‘I Still Feel Her Pt.5’ takes the series in yet another different direction, throwing in some sub-par rapping whilst Craig gives his best vocal performance on the album. Vocally he never sets a foot wrong, but there are moments where he should be sprinting but instead settles for a steady crawl and his voice is never really given free roam, despite being pitch perfect. Lyrically, the songs here see Craig expose himself, with the content being personal, addressing his flaws, love and his second chance in terms of drug use. This, at least makes for an intriguing listen, with him openly discussing his demons and inner conflicts. I can’t fault it in this aspect; I can always appreciate an artist digging deep inside themselves and putting it on record. The more emotionally and reflective tracks like ‘The Open Letter’ are the better ones. It begins with fairly minimal production and allows Craig to coast along and put his voice to put to good use opening up to become the most confident track in a sense with the hip-hop / electronic elements complementing Craig’s powerful voice. It’s a shame that these moments simply don’t happen enough, and the production becomes repetitive, making use of similar beats and shimmering electronics. Even Craig’s voice, which is normally unique and compelling seems to become tiresome. There’s none of that energy that made Emarosa so good, or the gymnastics of Dance Gavin Dance. Sure, it comes with the newly explored territory but it becomes stale very quickly and I only managed a few playthroughs before growing sick of the songs here. Jonny Craig remains full of potential despite what seems a weak release. He still has one of the best voices in music, which some feared he’d lose after his sobriety. ‘Find What You Love And Let It Kill You’ shows many glimpses of promise but never meets the standard we expect of Craig. It’s definitely different, but I’d also definitely listen to his past material ahead of it.